When boys are hurt, we tell them to ‘rub some dirt on it’ and get back in the game. So it comes as no surprise that men have a tough time admitting weakness, especially to something as innocuous as a slice of bread. Perhaps this explains why celiac disease is considered a women’s issue, when in reality the male-to-female ratio is closer to 1:1. 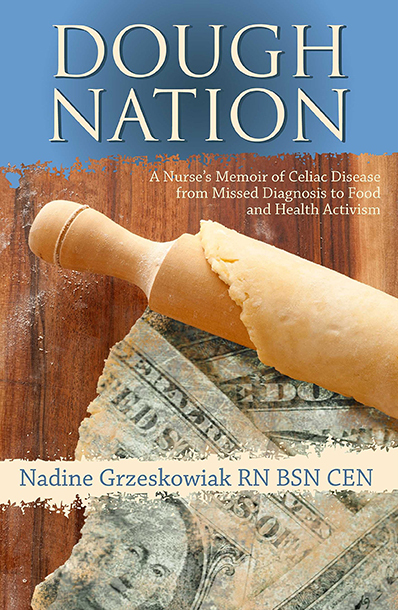 Today the Gluten Free RN discusses the large numbers of men in the US who go undiagnosed or misdiagnosed, sharing several anecdotes of patients whose symptoms resolved on a gluten-free diet. She covers the particular social challenges for men with celiac disease, the laundry list of symptoms men may encounter, and the specifics of nutrition she recommends for gluten-sensitive patients. Through it may be difficult to give up pizza and beer with the guys, it is worth the effort to go from sick and struggling to happy and healthy. Listen in and learn how to make going gluten-free simple and easy, even for men with limited culinary skills. Add bacon fat to your greens AND regain your abs with advice from the Gluten Free RN!